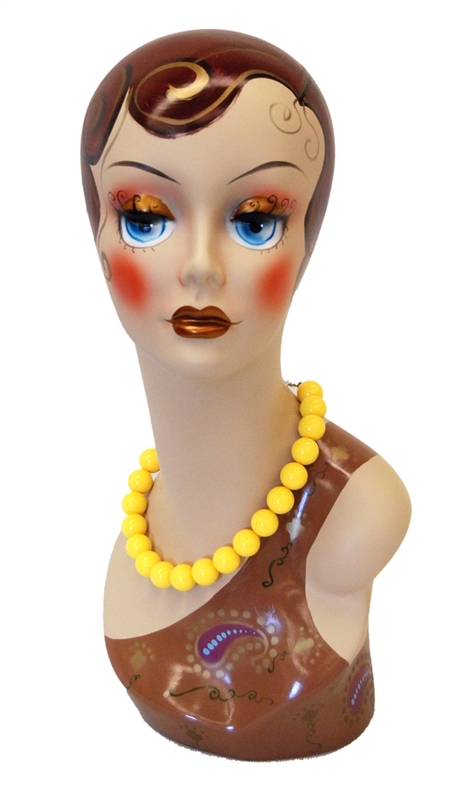 Add Fun and color with this Vintage Full Painted Female Display head. She comes ready to brighten up your displays with everything that you could ever need to generate a beautiful image in the consumer's mind. Hand painted fiberglass construction. Necklace not included. 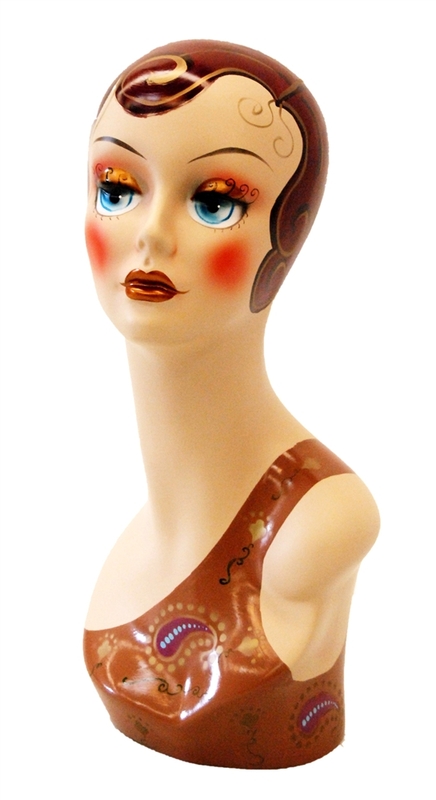 See the whole line of these Fun Vintage Hand Painted display heads - click here.